Comparing the Rotovac to a wand is like comparing a power saw to a hand saw. We have a carpet cleaning package to fit any budget and address any need. We use state-of-the-art carpet cleaning treatment, along with pet-friendly cleaning agents to clean your carpet. Spot treatment includes removal of things like: coffee, Kool Aid, blood, urine, wine, soda, candle wax, etc. Deep pet urine odor removal available – using enzymatic urine removal agents. How long does it take for carpet to dry after service? Your carpet will generally be dry in 4 to 6 hours, depending on temperature, humidity, and air flow inside your home. How can I speed up the drying time? 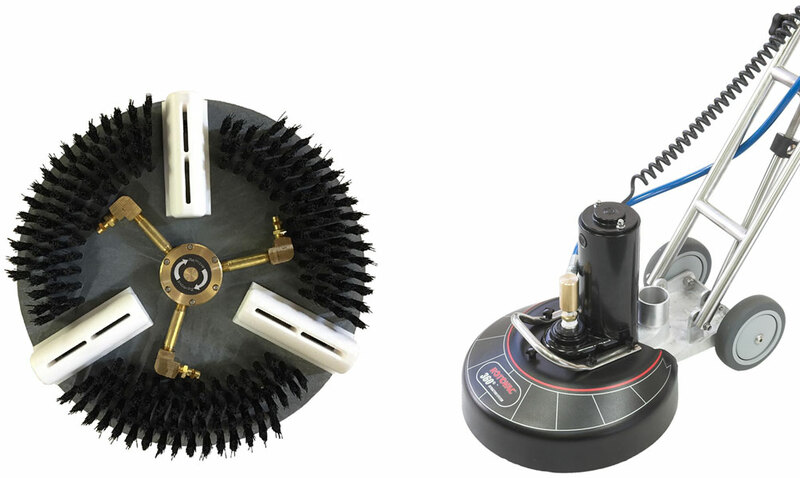 Run your ceiling fans and other household fans on your carpet. Keep your windows closed, as it is often more humid outside than inside your home. Run your HVAC on heat in the winter and cool in the summer. Do you move furniture during cleaning? We do not move furniture. We ask that any area to be cleaned is open for access prior to arrival. We ask that you don’t move furniture while we are cleaning. Are your cleaning chemicals safe for children and pets? Yes, all of our cleaning agents are safe for children and pets. We apply a pre-treatment that loosens soil and stains prior to steam cleaning. During steam cleaning and extraction, we apply a neutralizer rinse that brings the pH back to normal. We help businesses maintain their floors to give the best impression to customers and maintain a safe work environment. Soil and contaminants accumulate quickly on commercial floors, due to the high volume of traffic and beating they take from commercial activities. Our team of professional floor cleaners can deep clean any surface to bring new life to your floors. We work in: hotels, entertainment complexes, theaters, restaurants, warehouses, offices, buildings, medical facilities, and at your business. We offer additional services to clean and maintain other surfaces in your life.